Yadav, who will attend the Opposition rally in Kolkata on Saturday, said the event would send out a clear message of change. 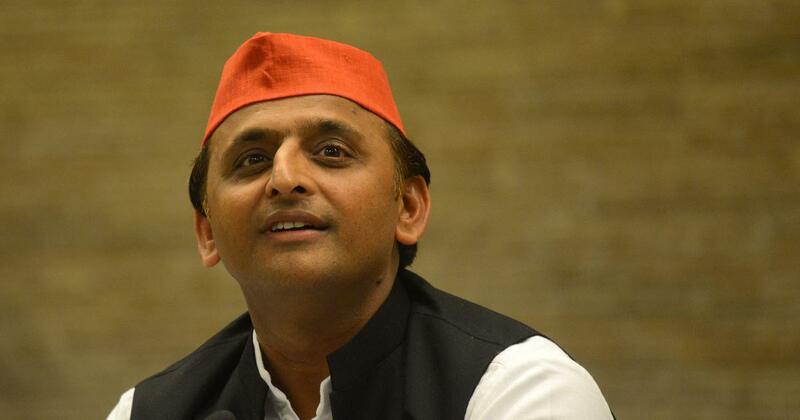 Samajwadi Party President Akhilesh Yadav on Friday said the nation is waiting for a new prime minister and the Opposition rally in Kolkata would send a clear message of change, PTI reported. The former Uttar Pradesh chief minister arrived in the city to participate in the Trinamool Congress-led rally, which is being seen as an effort to unite the Opposition parties against the Bharatiya Janata Party ahead of the upcoming Lok Sabha elections. Yadav praised West Bengal Chief Minister Mamata Banerjee for inviting “all leaders” for the rally. “The message that will go from Bengal and from Didi will be the message for change,” he said. Former Prime Minister HD Deve Gowda, Opposition leaders Sharad Pawar, Sharad Yadav, Hemant Soren and former Arunachal Pradesh Chief Minister Gegong Apang reached Kolkata on Friday. Other leaders expected to attend the mega rally include Karnataka Chief Minister HD Kumaraswamy, Delhi Chief Minister Arvind Kejriwal, Omar Abdullah, N Chandrababu Naidu, Tejashwi Yadav and MK Stalin. Although Bahujan Samaj Party President Mayawati will not attend the rally, senior party leader Satish Chandra Mishra will be in attendance. Congress President Rahul Gandhi on Friday also extended support to the rally. Deve Gowda said the entire nation was united to defeat the BJP. He added that efforts to form a “secular” government after the elections were “historic”. Yadav claimed the National Democratic Alliance government at the Centre was responsible for causing distress to people from all walks of life, including youth, farmers, the poor and traders, and everyone wanted a change. Earlier this month, Yadav’s party announced an alliance with the BSP in Uttar Pradesh in an effort to defeat the BJP.